As I mentioned in my first post, I opted into Gwynnie Bee for a month to see if this would be something I would be interested in. 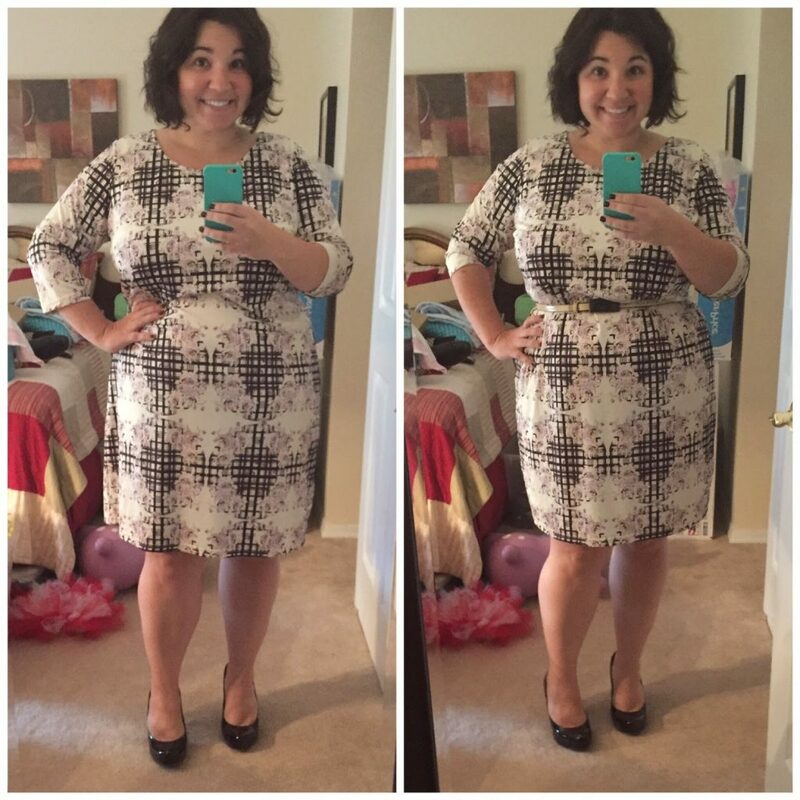 I’ve been adding items to my closet and trying things on and sending things back. So far, I’d say I’ve kept about 50% of the items. Here are a few that I’ve had in the past week. My subscription will be ending at the end of November. 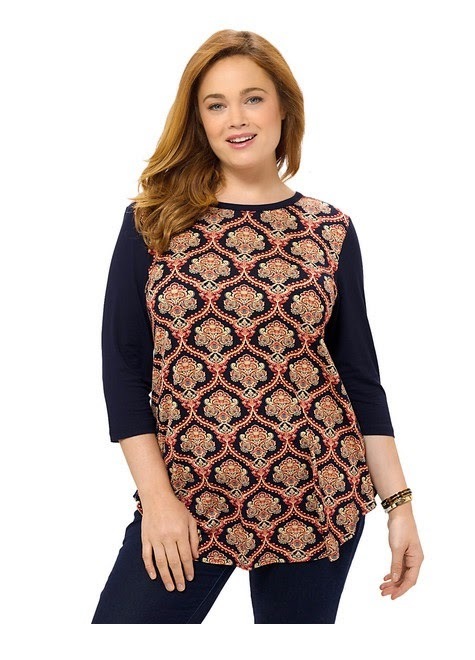 First up – the Karen Kane Carousel Top. I wish I had gotten it in a smaller size. This was super comfy, very flattering and casual all at the same time. I wore this to Friendsgiving. I paired it with jeans, flats & a J. 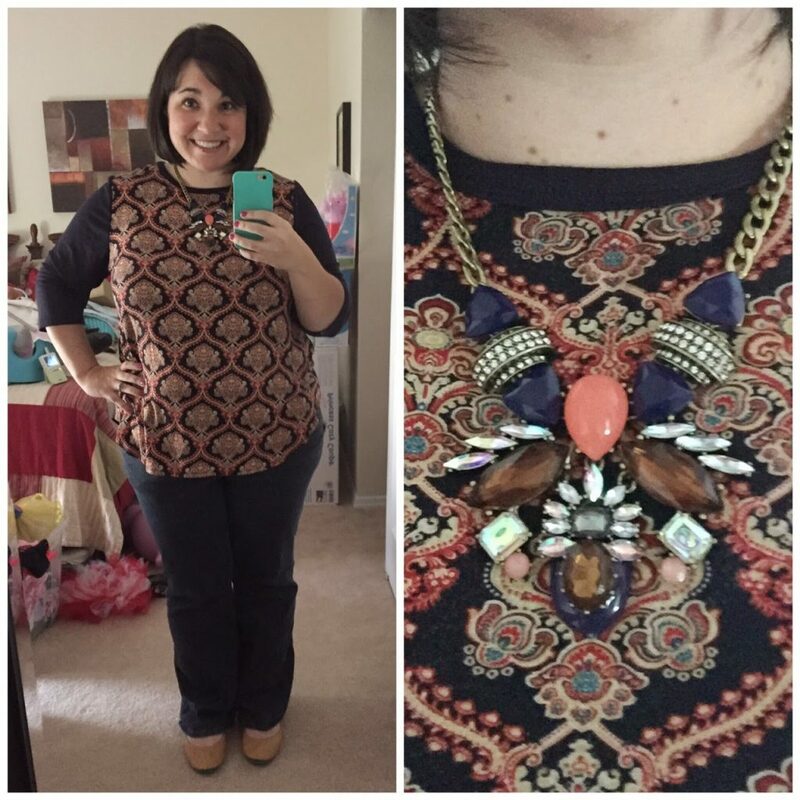 Crew Statement Necklace. I really wanted to love this dress. It’s fun, casual and perfect for date night. Sadly, it was just too big for me. I even tried to pair it with a belt to see if I could make it happen. I’d likely put this back in my closet at a smaller size. I wanted to love this. I didn’t even take a picture of me wearing it. Jeff said – woah, send that back ASAP. The pleats just hit so wrong and it was super big. I thought it would have been cute for the wedding. Sadly, a big miss. 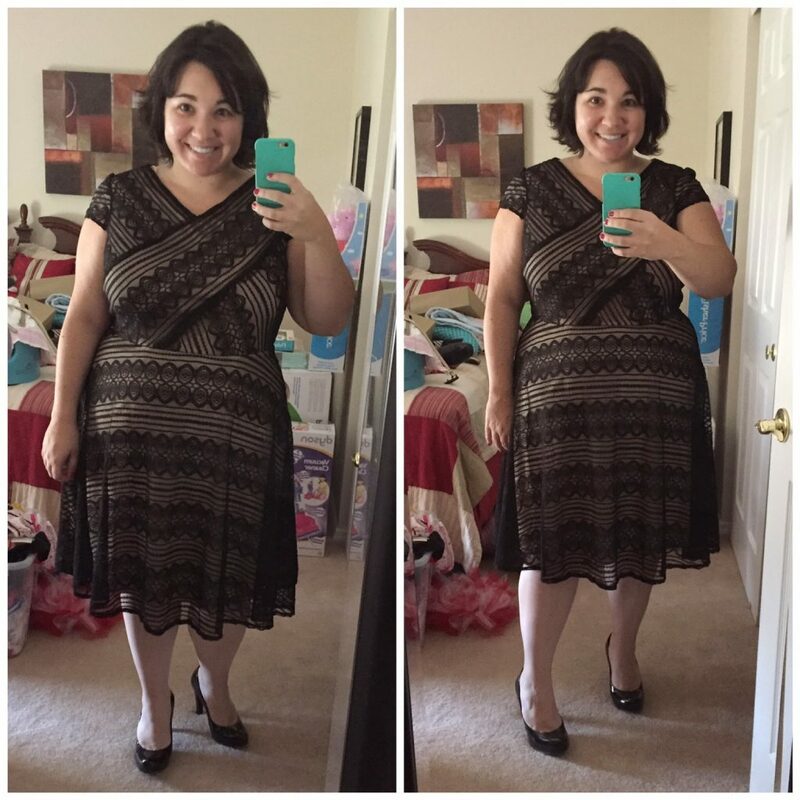 This is not a flattering dress. I even sized down hoping that it would be more fitted and it still wasn’t. I think it makes your chest look bigger than it is. I also didn’t like that there was a good 3-4 inches on the bottom with no slip. Total strike out. So, you’re caught up on what I’ve been picking up from Gwynnie Bee. Overall, I’m finding the fits to be too large. I need a little snugger fit. I’ve adjusted and have been ordering down a size, but even with the last one, I could have gone down another size. I’m still thinking I’ll be canceling at the end of the month as I sit here in my yoga pants and big wrap sweater. It’s just not practical for me staying home. If I was working – absolutely. I will say right now they have 50% off items to keep. All of these if they worked were super affordable to keep in my closet. I had one come yesterday that I bought – more on that in the next review! I’ve been holding onto 1 dress since my first shipment that I’ll be wearing next weekend to the wedding. I’ll get 2 more items shipped likely before I cancel. Overall, the shipping has been fairly quick. I like that I can tell them I put something in the mail and they begin to package my new order. That’s all for now! I’ll do 1 more post and an overall pro and con of the service.